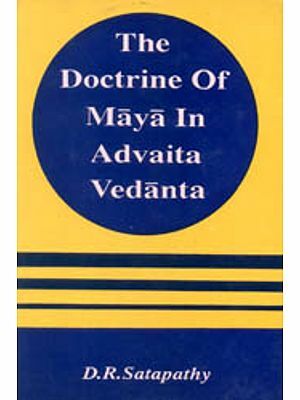 Among the six systems of Indian philosophy, Vedanta the last is the most well-known and widely studied. Based in the writings of Sankara, Ramanuja and Madhva, it has branched off into three major traditions which are very much alive even today. Literature on the Advaita Vedanta is legion, thanks to the numerous descendants and defendants of the tradition. 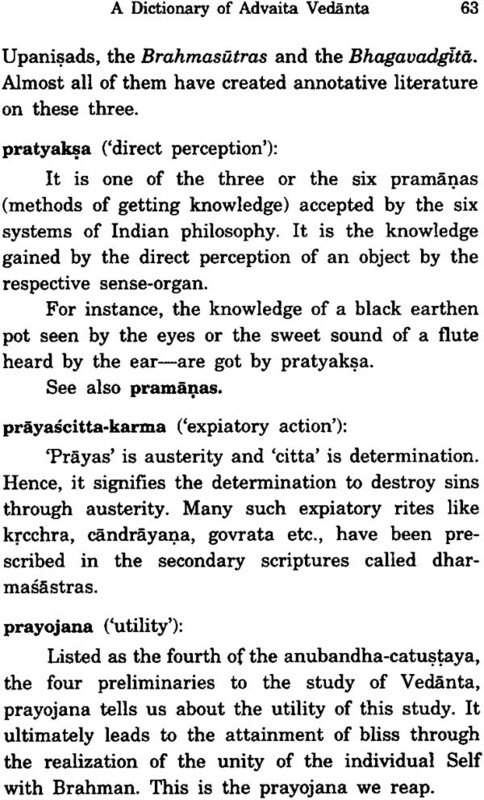 Among the simpler and more elementary treatises of Advaita, commonly called 'prakarana-grantha,' the Vedantasara of Sadananda is very popular. Being a later work, it has the advantage of systematizing all the important doctrines of the earlier works and presenting them in a comprehensive but compact way. This dictionary has been prepared, drawing heavily from the Vedantasara. But, to understand the terms given here, some background is needed. 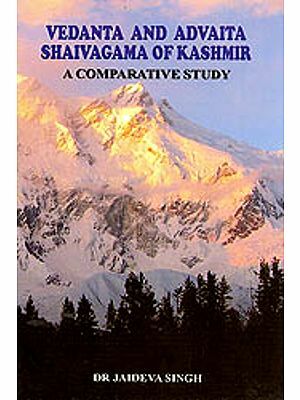 This has been provided in the two essays given in part one. The first essay, the Advaita Vedanta Darsana, gives a brief history of the school and presents its essential teachings, including the later ramifications, in a nutshell. The second essay, Sadananda's Vedantasara, summarises the salient features of this work. The dictionary itself is given in part two. 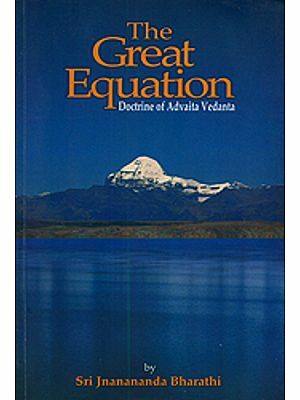 Part three contains ten charts which give in a condensed form all the essential information of Advaita Vedanta as depicted in the Vedantasara. This can serve as a revision lesson to the students of Advaita. We earnestly hope that this brief work will serve as a useful introduction to the students of Advaita Vedanta. If it prompts some scholars to venture on a much bigger work, we will feel blessed.